Having witnesses or co-workers located in other cities, or even other countries, shouldn’t slow down your depositions. You’re working on a case, but there are some problems: your witness is far away and travel simply isn’t in the budget. Your coworkers work in another city and it’s hard to coordinate in-person meetings. What do you do? Videoconference! Distance shouldn’t be a factor when it comes to deposing an important witness for your case. CaRR’s videoconferencing capabilities allow us to bring the witness to you, saving you travel costs and time! As long as you and the person you’re trying to contact have videoconferencing equipment — or access to a videoconferencing facility – this is a workable, inexpensive option for you. 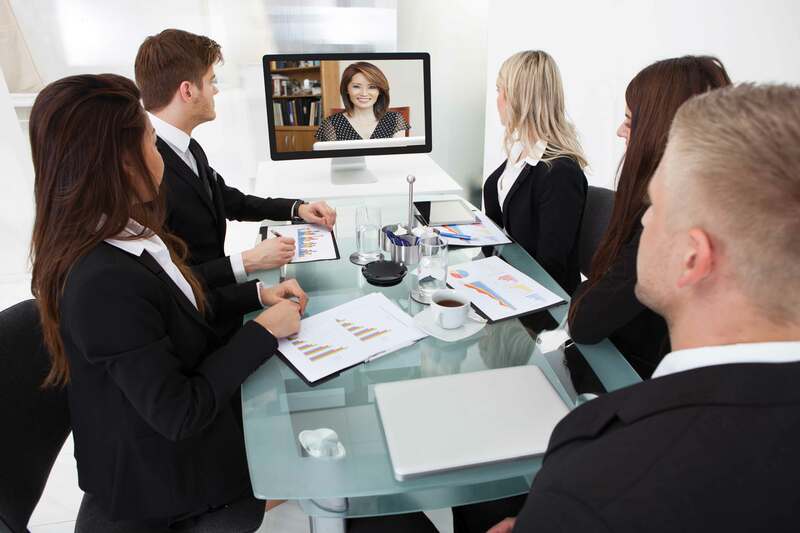 Our scheduling team can assist you with finding video conference facilities anywhere around the world! If your client lives in a rural area or you simply won’t have access to videoconference equipment, a mobile video conference is your go-to solution! So long as you have internet access, mobile videoconferencing is a secure, quality, and easy-to-use option. Did we mention that you can use mobile videoconferencing on your iPads and mobile phones as well? Convenient! Recording of videoconferences is also an available option for playback during trial, as well as streaming audio, video and text.